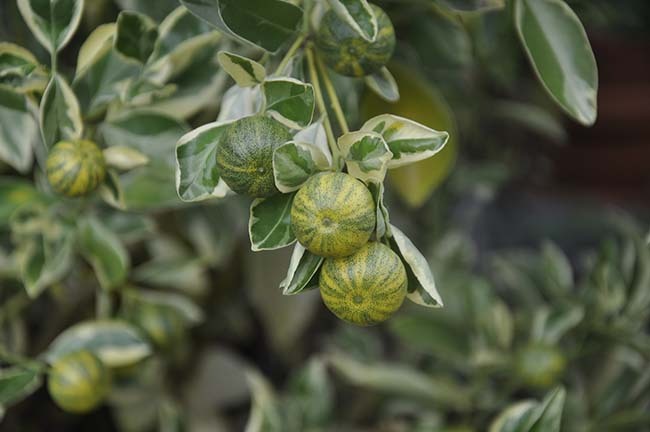 In a week or so, I will be relocating most of my city, such as this variegated Calamondin orange, back into the greenhouse for the winter. One of the first houseplants I ever grew all by myself was a grapefruit tree. I was probably around ten years old when I found some grapefruit seeds already sprouted in a half of a grapefruit which my dad would always serve us kids for breakfast. It was winter, before school, and being the youngest, I was small enough to grab the choicest seat at the breakfast table - on the hot radiator under the window. Grapefruits always remind me of hot butts and Maypo. Long story. 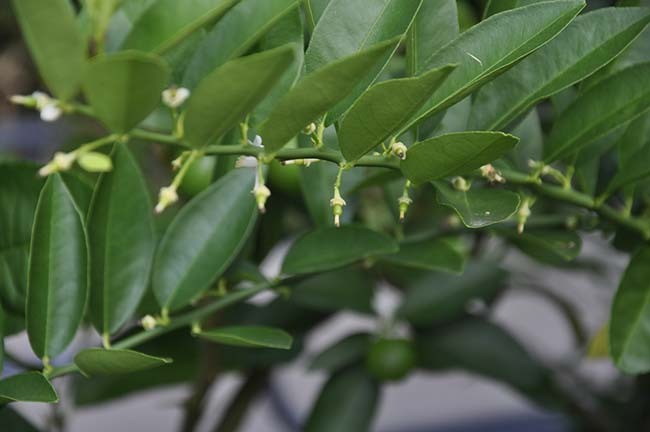 A larger view of this larger Calamondin plant, which is quickly growers too large for its container. I potted those pre-germinated seeds up secretly, and set the pot on the windowsill in my room and you can probably foretell the rest of the story. What I didn't know then, was that even though I raised that plant into a large shrubby and thorny monster which I regretted leaving behind when I went to college, it was only later when I realized the sad truth - that the odds of seeing that tree bloom and produce edible fruit, were slim to none. Flowers maybe, but most likely, mostly thorns and foliage. Not to mention scale, mealy bug and the other host of pests citrus trees indoors eventually succumb to. The 'Loimequat' just completed blooming, it's second bloom this summer. I really didn't' care much at that point. As many of you who have raised citrus indoors have discovered, the damaged or bruised leaves on a citrus plant smell of the essential oils somewhat, and even the roots carry a scent which one discovers when repotting. 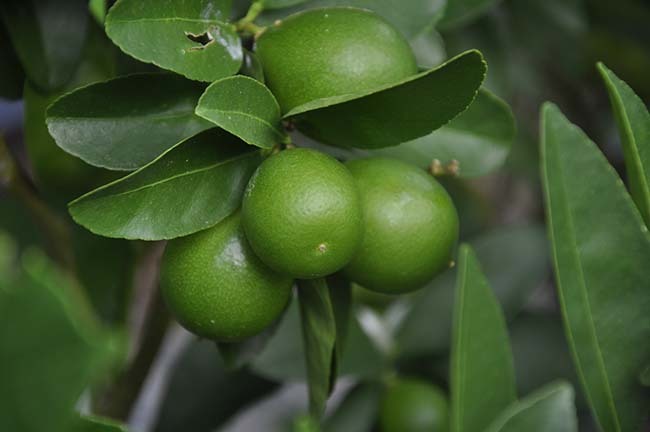 Larger Limequats are maturing, but they will turn bright yellow when they are fully ripe. After many years of attempting citrus indoors, they remain a favorite, even though I have much better success now with them in the cool greenhouse, it was not that long ago when our home seemed to have citrus trees in most every room that had a window, particularly the cooler, unheated rooms in the winter - empty bedrooms with an Eastern exposure, and in the studio where my father painted his paintings which was heated with a wood stove (eventually, however, the wood stove made the room too hot for them, and many perished - but when he only heated it during the daytime, the plants enjoyed the temperature shift at night when it could dip near 50º F. They love that. 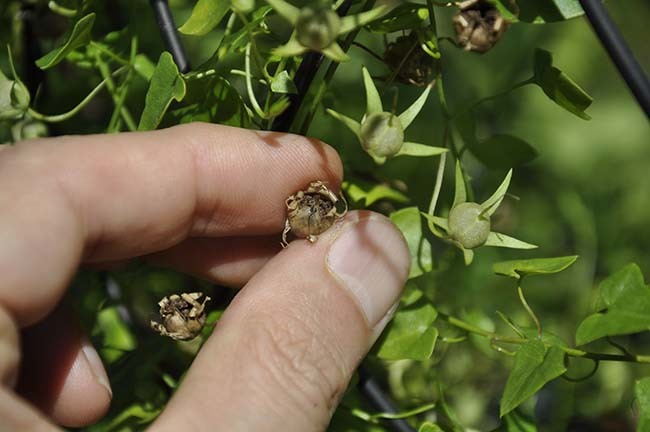 Fortunella hindsii, is a very tiny citrus. They will look much nicer when they mature and turn reddish orange. If you've been dreaming about owning a few citrus plants and raising your own fruit indoors, here are a few of my tips which I have discovered and implemented over the years. 1. Have patience, or buy a blooming sized plant. Let me tell you a story about 8 year old Matt. With a 1968 Parks Seed catalog in hand, I walked on my knees into my mothers bedroom (yeah, it worked - don't laugh - we were Catholic and I was an alter boy - we had secret powers. 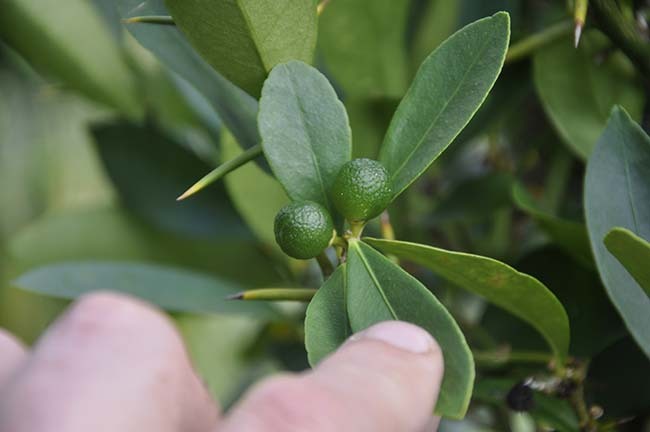 ), pointing at a key lime tree for something like, $5.99. We ordered it, and as I dreamed of key lime pie for eternity, it ended up seeming like eternity when the little 2 inch pot finally grew large enough to produce a flower, and then a fruit - (which promptly fell off - I don't know why, it happens for many reasons, so be ready for that, too). 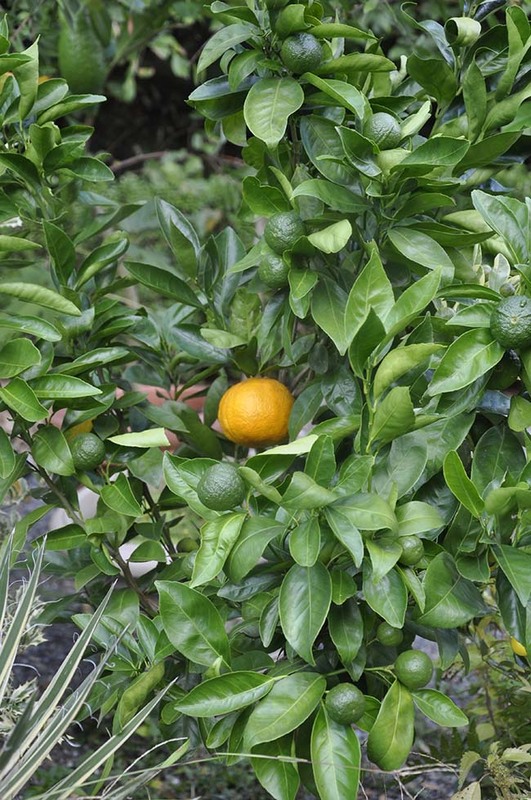 Now that it is larger, this grafted Mandarin orange tree looks like it will be loaded with Mandarin oranges, very similar to 'Clementines', which is a seedless 'Mandarin' type. This is particularly important if you are engaging your children to help raise the tree, since unless you live in southern California or south Florida, the idea of raising citrus indoors is pure magic, and nothing kills the high of magic with pre-millennials like time. I'm not suggesting that you buy a tree already blooming or with fruit on it, just be sure to get one which is a. grafted (which will ensure blooming at an early age) and b. A variety suitable for growing indoors. I suggest Logee's Greenhouses, naturally, but there are plenty of other sources as well - just do your research. I would target the price of $35 - the average price of all of mine. 2. Be Realistic - Remember, all commercial citrus are grafted. (i.e. Don't believe everything that you read on gardening blogs.). I'm not being mean, but if I read one more blog post about "Raise your own lemons from seed!" or see a pinterest pin that reads "Kids DIY Clementines from seed! ", I will scream. If you want to teach your kids about how to grow plants from seed, terrific ( I mean, come on, look how I started! ), but explain to them what they are really doing. Now, I am not suggesting that you teach them how to graft (although, my next door neighbor Paul did win our science project in 5th grade with a grafting project utilizing bees wax from his fathers hives, leaving one little dude's Hummingbirds of the World (sculpted in clay) in second place, but I am over that. Really), but a grafting project does seem to make more sense if you really want to teach something practical and real. By the way, the same thing goes for apples. We now keep many large tubs of various varieties of Citron, this one has lost its label, but I know that it is different than 'Etrog', one used in many Jewish ceremonies. 3. 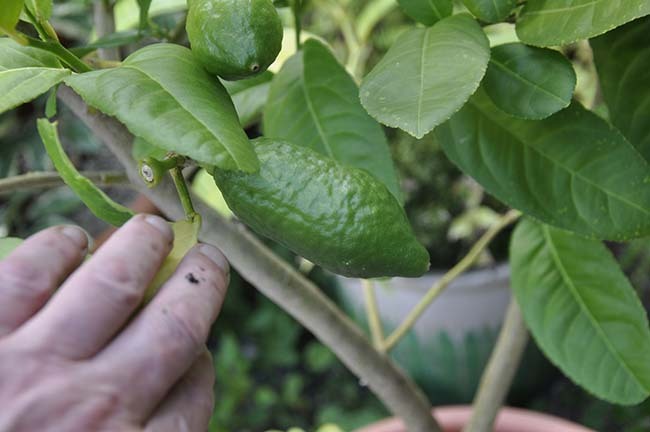 Be bold, and try some Citron's indoors this winter, they are very grow-able. Large citrus to very well indoors. All you need is a large pot, good sandy soil and some scissors to trim the long, sharp thorns off with, since they can tear cloths, skin and be a risk to your pets' eyes. It's the fruit however which are awesome, fragrant and flavorful. Most are pithy, with very little flesh, but the pith is sweet and often crispy. It candy's well if poached in simple syrup and makes terrific marmalade. Of course, you could just keep the fruit on the tree, as a natural air freshener, and to show off to visitors. 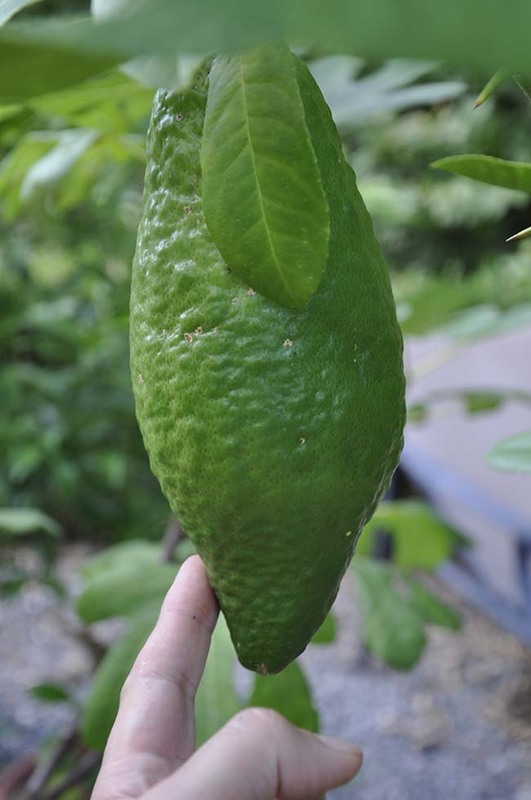 This large 'Etrog' citron, is only about half mature, it will be nearly the size of a football before I will harvest it. 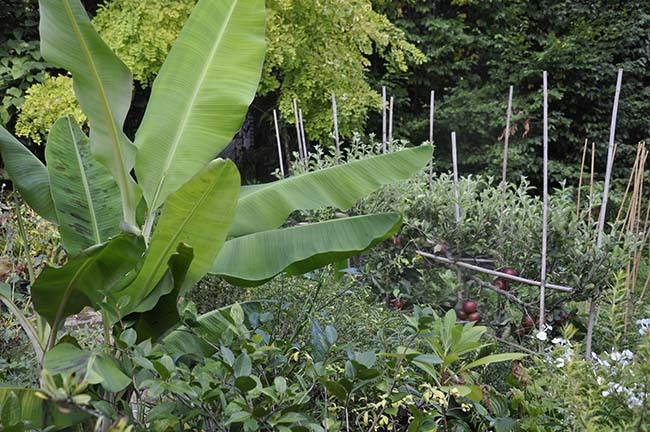 WIth some heavy rain expected this week, our apples and banana's will be grateful. Not a very New England looking garden, certainly, but in a few weeks, autumn will transform the garden into what a calendar photo in October should look like - pumpkins, sugar maples and winter squash. Bananas will retire for for the season. 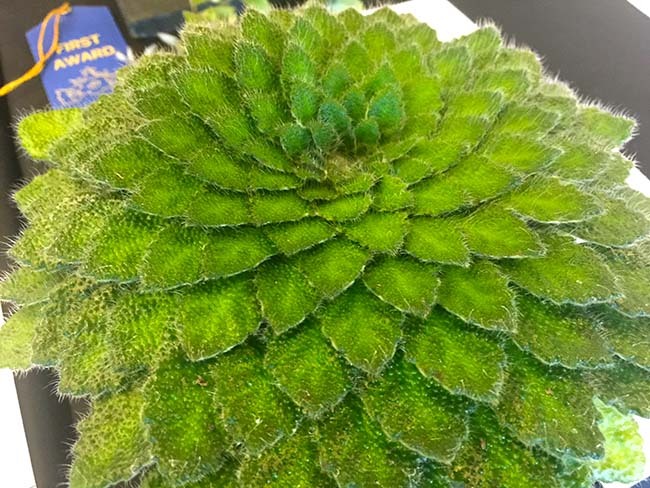 This Petrocosmea, may change your mind about gesneriads - those African Violet relatives that just may make better terrarium plants than, well, terrarium plants. I am convinced once other garden bloggers catch on, these will be as popular as succulents. Oh, and in case you are wondering, succulents make sucky terrarium plants. With it's Epic Fibonacci-ness aside. It's really true: - "once you go hairy, it ain't so scary" - Cool rooms, bright light. 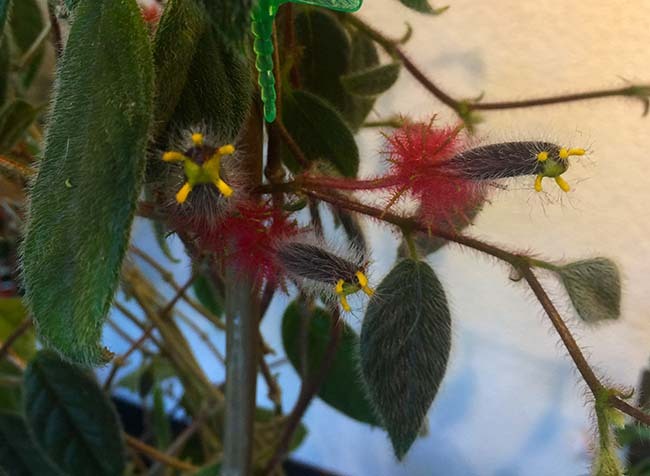 A collection of small, Petrocosmea plants. Sometimes, I am just my own worst enemy. 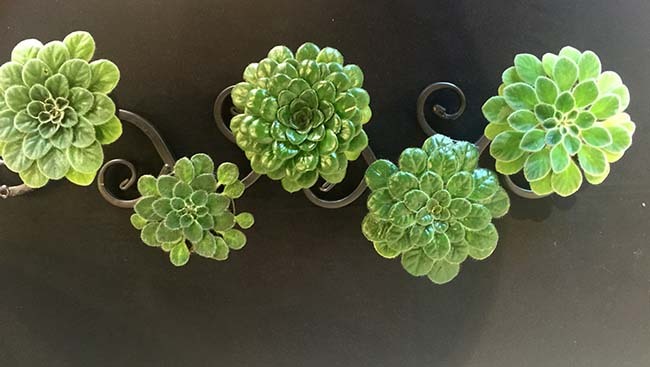 Sure, I can just keep saying it over and over again to people - " well, you know….I just can't get that interested in gesneriads or even begonias for that matter. I don't have the room, and they really don't interest me that much.". OK, OK...I am kind-of a 'social collector 'of gesneriads and begonias. As in "I only do them on weekends". Besides, sorry folks, but I just I can't every single plant society…. (or can I?). I'd love to, but perhaps not just now. I just 'dabble' in various genera, like a few of you, I know! 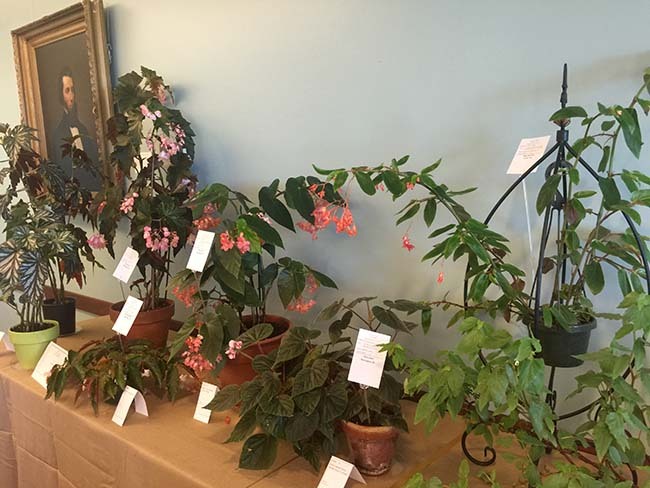 Since the American Begonia Society held it's national show in nearby Natick, MA a month ago, this show was not judged (the begonia portion), but this particular group - The Buxton Branch of the American Begonia Society is rather famous among plant societies. You can find out more, here. 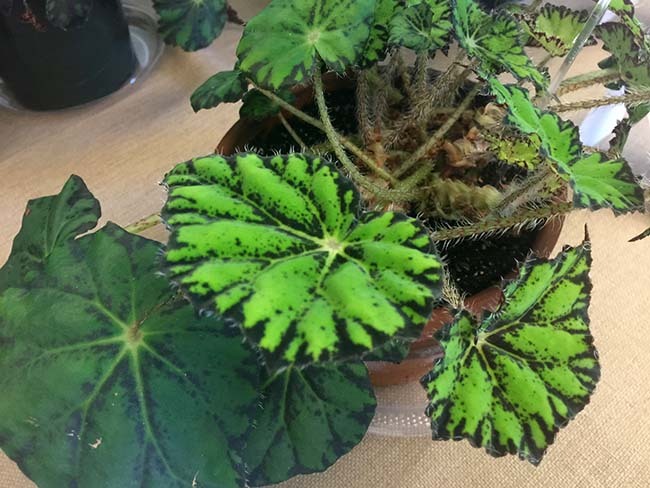 This smart Rhizomatous begonia 'Tiger Kitten' comes was entered by Mary Beth Hayes, of Chelmsford, MA. Still young, this will make a fine specimen plant. 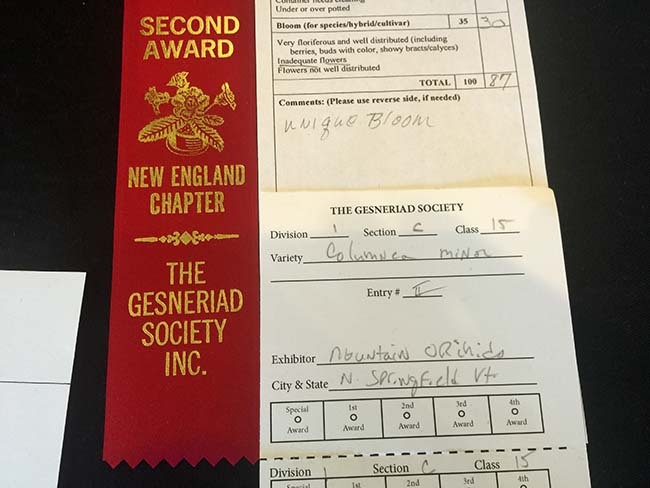 I left this weekends duo exhibition at Tower Hill Botanic Garden in Boylston, MA with two begonias and one gesneriad ( a very nice one that was gifted to Joe by a member because he asked for a cutting). So clearly, they are making their way into the collection bit by bit. And just because I placed an order for more African Violets and have dedicated an entire bench to fibrous begonias in the greenhouse doesn't mean that I have any interest at all in the plants. End of story. 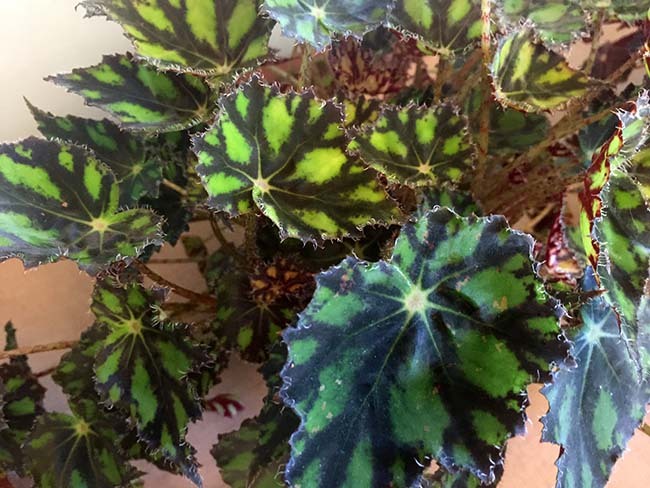 This Rhizomatous begonia ( my favorite, if I liked begonias) is a striking variety called 'Persian Brocade' This was raised by Jocelyn Sherman of Middletown, RI. 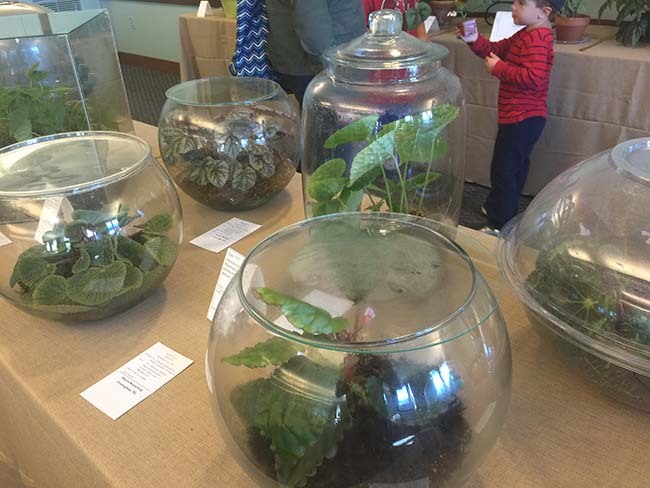 Most serious begonia growers raise their plants in glass containers. This rather exotic looking Columnea minor looks anything but minor. A twining, rambling plants, it's blossoms where extraordinary. Within a genus of over 200 species, this one makes it on my wish list. I think you can find one here when they are back in stock, or here. What a magnificent windowsill plant, and I would never ever think of ordering one, simply from the catalog shots. You really need to see the whole plant full grown. 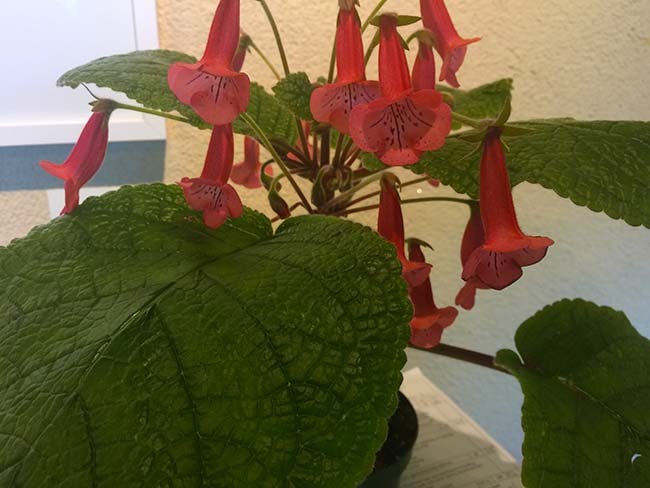 If you live in an apartment, or don't have a greenhouse, the broad and highly interesting group of plants known collectively as Gesneriads ( mainly those within Gesneriaceae), offer tremendous diversity in both size, and habit. 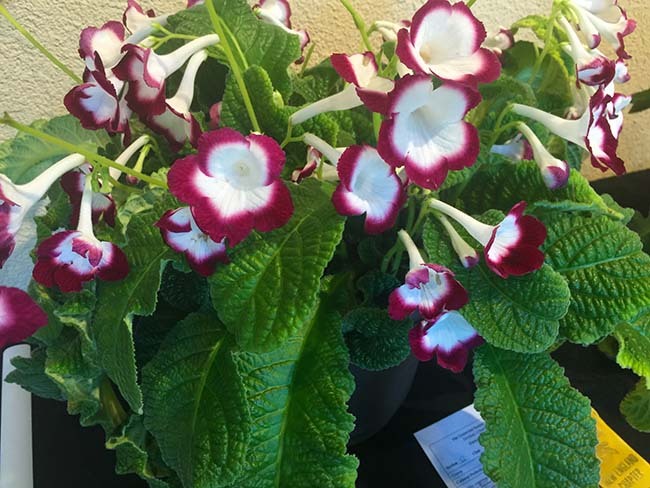 We all know about the most common family members, the Siningia (Gloxinia is one) and Sainpaulia (the African Violets), but there are SO many more to discover. You may be surprised at how many gesneriads you can collect, from the tiniest gems only an inch or so wide, to massive outdoor perennials. 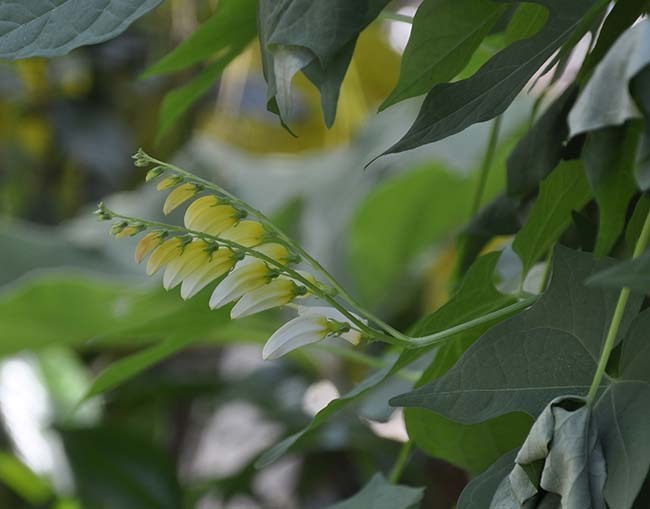 Mostly, they are warm, tropical and fuzzy leaved yet some have glossy leaves. Some are vining, while others grow in perfect rosettes. Most have spectacular flowers. …although the judges seems to think otherwise. Without defending my position any more, here are some very poor iPhone images from this past weekends' shows at Tower Hill. All kidding aside, both gesneriads (those often fuzzy-leaved plants in the same family as African Violets) and begonias make terrific terrarium and window-sill plants, and they make for a curious and interesting option to most plants sold as terrarium plants, so look for them either on-line (some of my favorite sources for really interesting terrarium plants are listed below) or at your better garden centers. I'm not sure how I feel about these newer Streptocarpus varieties, but they sure are striking. So here is my problem. While at the show, people would spot me as ask why I didn't enter anything, and i would respond with one of my typical excuses (afraid to admit the truth, which was that I just wanted to be a little selfish with my time). I do like African Violets and Streptocarpus though, and it is usually around mid autumn when I crave new or memorable old varieties for my winter windows. These are perfect indoor plants, either under artificial light, or on east, or west - even northerly exposure windows. Who doesn't want some color when it is snowing outside? Related to the florist Gloxinia, this Sinningia bullata x sinning tubiflora grows from a bulb-like structure. These excuses such as "I am not really all that 'into' begonia's only took me 'so far', since it appears that most of these people were blog followers ( oh…right….that blog). Dang. 'We know you have amazing begonias" shouted one person. Another said "Oh, I know you! I follow your blog - look…. (as she showed me photos of some of the dahlia varieties I had suggested that readers might like to grow.". The same woman then showed me English Sweet Peas that she grew herself, after taking my class last winter at Tower Hill Botanic Garden. That's so nice to see! I love it when people actually have success with trying new things. FYI - my next class is in early November - Raising Exhibition Chrysanthemums - reserve your seat today! Ugh, 'that' blog. It always gets me in trouble! 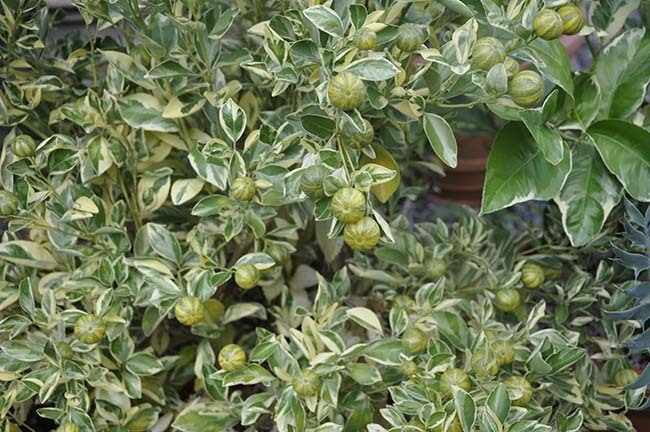 GO now and stock-up on some fabulous house plants before it gets too cold to order them! Come this winter, you will thank me. Mountain Orchids - Amazing dwarf begonias and smaller orchids, ferns and curiosities. Logee's Greenhouses - Some nicer Streptocarpus and interesting terrarium plants as well. 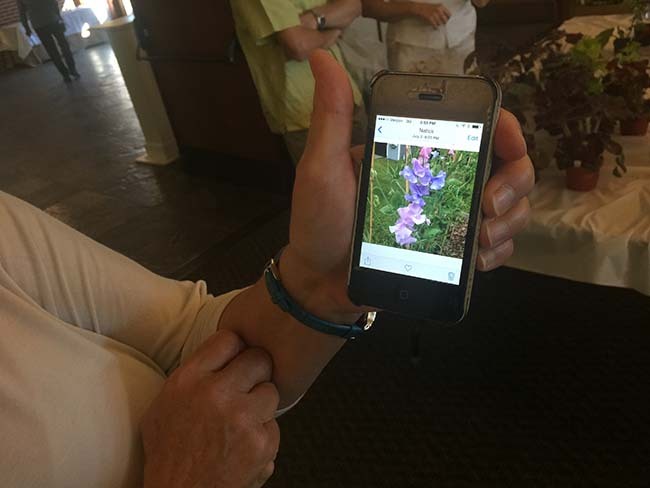 and look for local chapters near you and be sure to check their links for more plant sources. I am really surprised by how quickly the dormant pots of bulbs can come into bloom in the greenhouse. These cyclamen species were complete dormant (above ground) a week ago, when they received their first 'autumn rain storm' from the hose. The Nerine sarniensis pots were also watered last Sunday, and today - a week later, 6 pots have buds extending 4 inches tall. Even the earlier bulbous oxalis came into bloom in only 7 days. Hints of autumn here in New England are everywhere - beyond the pumpkin spice everything at the market, the plants are definitely signaling the seasonal shift. Hummingbirds, which seem to be more numerous than ever this week, continue to feed on the salvia and tithonia, but under glass in the greenhouse, the summer-dormant bulbs in the bulb beds which received their first watering for the season, are quickly coming into bloom. Maybe because I've learned to soak them much more deeply than I had been. Knocking a plant out of its pot, even after a five minute soak from the hose, sometimes shows where the dry spots are. The entire pot must be soaked deeply and completely if one wants a proper root system. 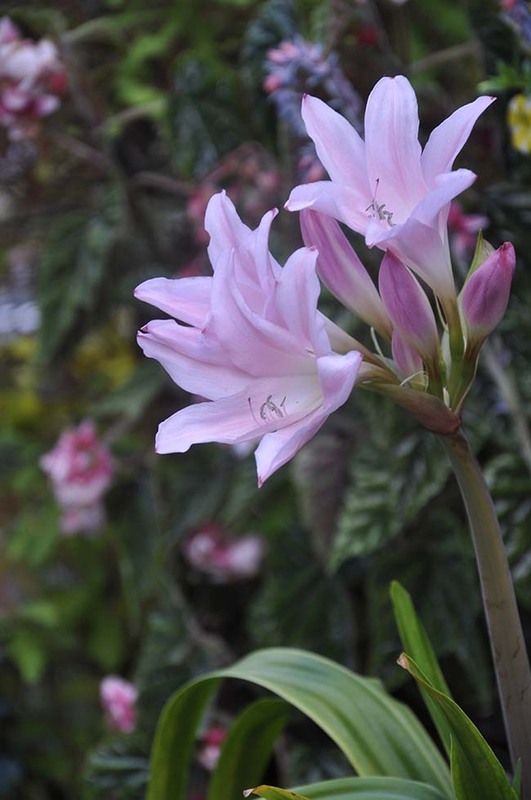 X Amarcrinum, a cross or hybrid between two distinct genera - that of Amaryllis and Crinum makes a great potted plant for the terrace or sunroom. Outdoors in the summer, and indoors or in a cool greenhouse for the winter, it can grow large and fill a tub within a couple of years. Typically blooming in fall, it is a common garden perennial in warmer gardening zones such as Virginia, southwards. Every year around this time, I start thinking about whether I should heat the greenhouse house through the coming winter or not. Of course, it doesn't stop me from continuing to buy plants, or plan on what plants to move into the greenhouse first (once it is cleaned and sterilized for the coming season). What will end up happening is that even though I will fret about heating costs, electric bills, how I will insulate the glass walls this winter and how will I ever haul the increasingly heavy tubs of plants back into the space, somehow it all comes together in the end. Amarcrinum 'Fred Howard' is also quite fragrant. I purchased mine from Plant Delights this past spring. 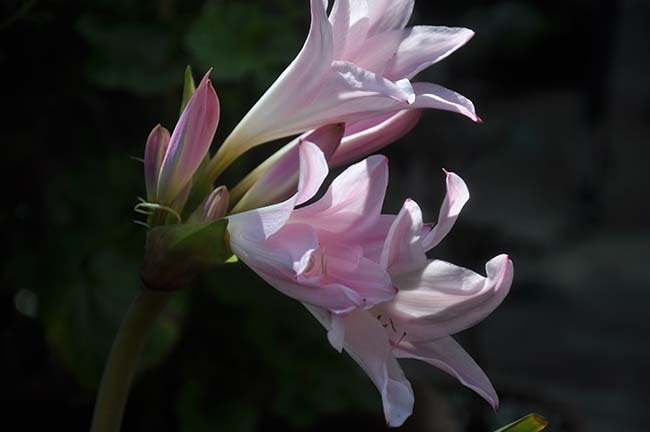 I remember seeing photos of large tubs of Amarcrinum on display at Longwood which inspired me to try a few in pots. Autumn for me is when an entirely new gardening season begins. I know I've waxed on forever about how I prefer greenhouse gardening to outdoor gardening (the control over the environment, the limits that a smaller, confined space places on you, the magic of snowy days and jasmine, forcing bulbs and warm, moist air and sunshine in January), but truth be told, I think it's really more about discover. In the winter, I can experiment a bit more, like a chef in his or her kitchen or a scientist in a laboratory, and artist in his studio. 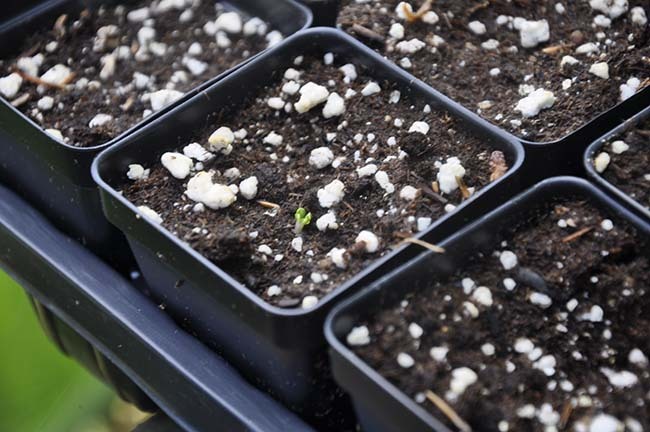 Early September is the time to start seeds of winter blooming annuals for the cold greenhouse. Many of the Californian annuals or cool weather annuals such as Salpiglossis and Godetia which may not do well in our summer heat and humidity make terrific potted plants in the winter under glass. This is something I have learned from nineteenth Century gardening books which often provide planting schedules for estate glasshouses and their crops. It's been a week since I sowed my first trays, and some seeds are already growing. 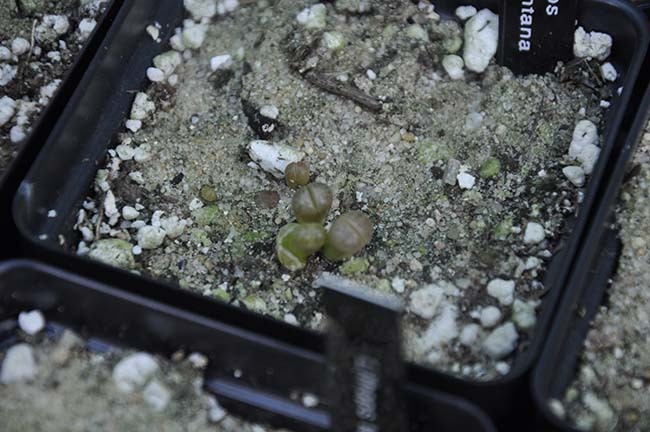 Here, pots of Layia platyglossa or Tidy Tips, a yellow and white western US wildflower are already germinating. 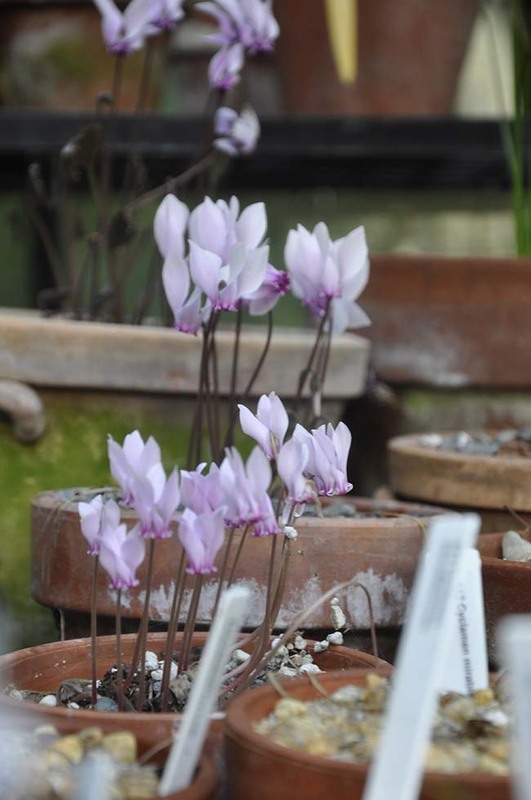 The greenhouse allows me to set up projects which are somewhat controlled, build collections which can be displayed and appreciated at eye level, closely and in details one can obsess about, and it provides me an platform on which I can step back and appreciate more - time to observe. A gallery, a studio, maybe even a church. 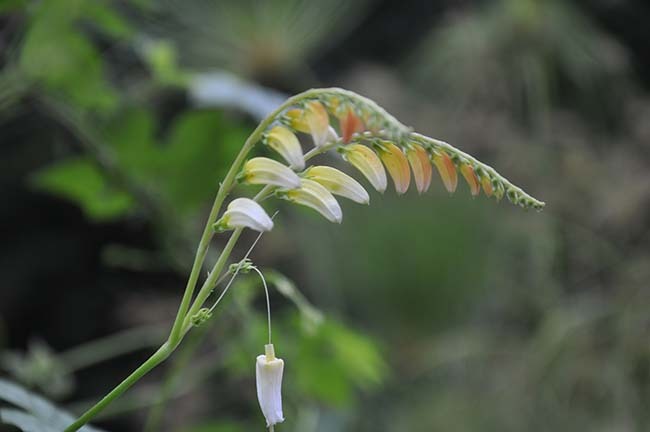 The Firecracker Vine (Ipomoea lobata) racemes are beginning to open. As easy as morning glories, it's a vine we rarely see in gardens. Like many annual vines, it blooms late for us, often just before frost which will arrive in a few weeks, the brilliant red and yellow blossoms will nearly cover the long vines as they open and extend upwards. Maybe this is why the Victorians created ferneries - because plain, ol ferns are nothing but forest weeds when set out in the vast, generic shady nooks of an outdoor garden, but when carefully collected, labeled and displayed in a staged fernery - they transform into magical theater - museum-like because they are on display, yet more approachable since one can touch them and study them, comparing the various species and their differences. This completely yellow and white selection of the Firecracker Vine named 'Citronella' is a more difficult variety to find in the US ( it's available at Chiltern Seeds), and it's new for me. I love it when there are color breaks like this. I suppose, it's all about experience then, some of us can just enjoy plants better when a frame is set around them. Pottery, the physical design of both container (pedestal) and the "wall" of the gallery (the greenhouse glass, or lattice. The entire, collective visual experience of 'presentation'. I like that sort of thing. 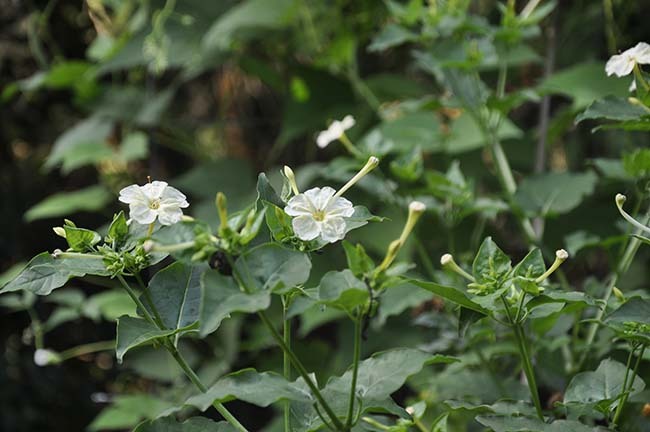 This tall Four O'Clock, or Mirabilis jalapa is a pure white 'wild' form I received as a gift from Blythewold Mansion. I adore it - fragrant, and as tall as I am, the only creature who loves it more are the hummingbirds. There is another thing about keeping a greenhouse collection that I've touched on in the past, and that is the inevitable boredom of maintaining a collection one keeps year to year. Sure - plants are living things, and they grow ( and grow, and grow), and one cares for them, and cares for them, and to be honest - some just grow less interesting. 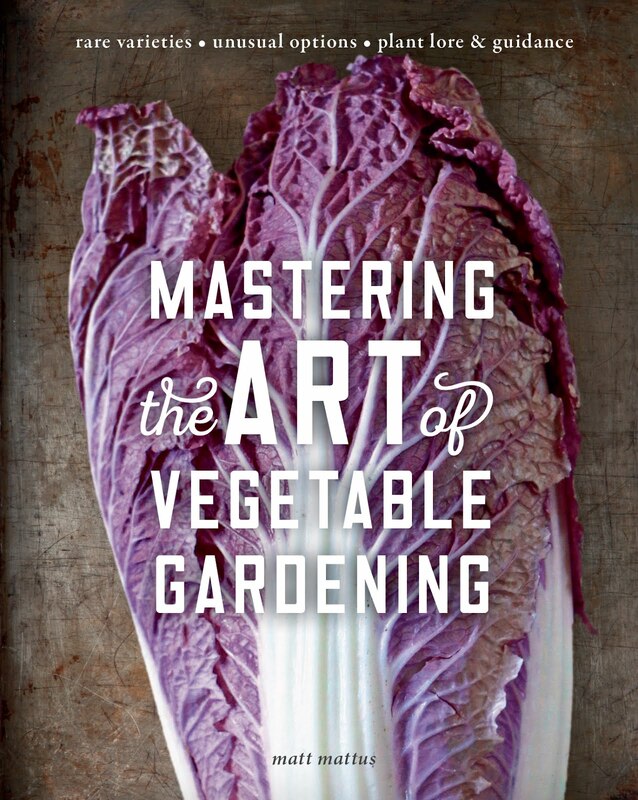 Horticulture is not just about keeping things, it's about learning and discovery. One of my greatest fears is reaching that point when I have grown everything, and then nothing means anything anymore. Over-familiarized I guess. To avoid this, I try to raise some new things each year. I hope that I don't run out of new plants to try! This year, I am planing both repeat rituals and discovery projects. Freesia are something I have not grown for a while, and Dutch Iris (those from bulbs) have never made it into my greenhouse beds. I still am seeking carnations (sources please?) to set out in a cutting bed, but I just may plant ranunculus, since last year, my anemone crop was a bit disappointing. 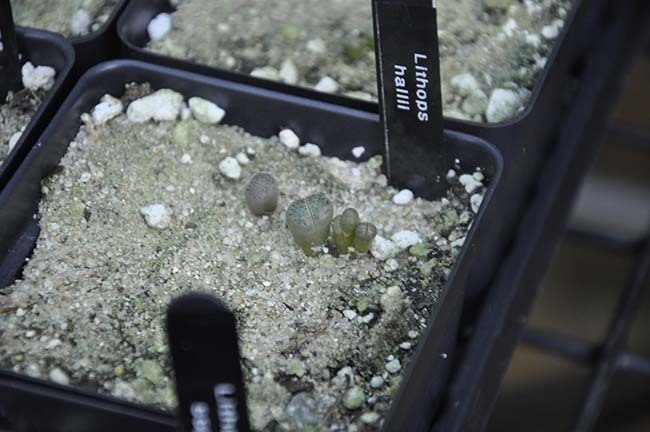 Do you remember all of those Lithops seeds from South Africa that I sowed last August in an attempt to start a collection? Well, some are growing nicely, even though an early watering accident killed about 2/3rd of the hundreds of pots that I started. I now have about 30 pots of different species and selections started, most only have a few seedlings per pot. 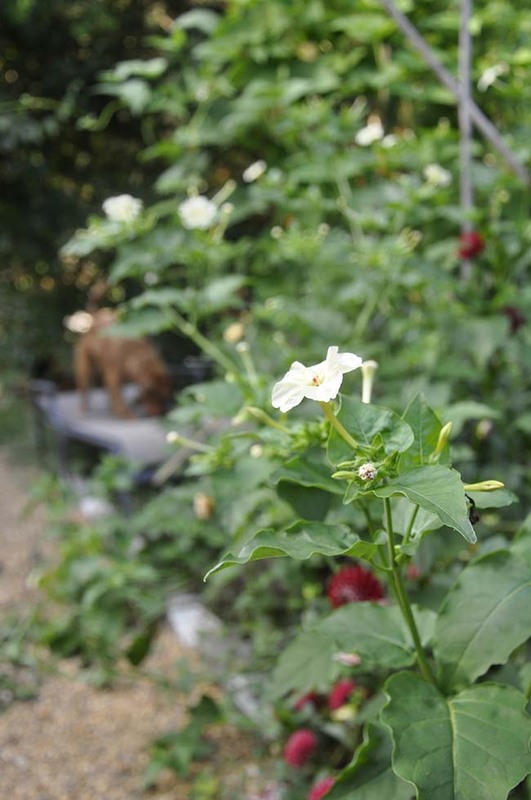 One thing I am trying which is new, but which has been on my bucket list for many years now, is trying winter annuals - species which were once so popular in the 18th and 19th century in cold greenhouses, but which today are never grown ( probably because few people bother with keeping a greenhouse). These annuals, at least here in the Northeast, are often those which might be common in California or in cooler winter gardening areas where some tender plants can be grown, but which could never be grown in the summer, since our summers are too hot and humid. 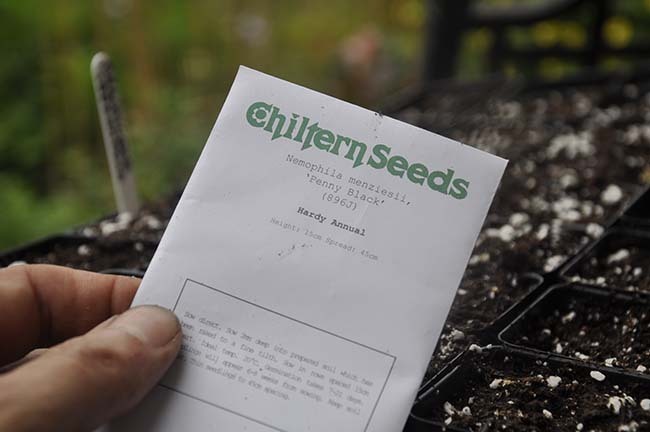 My seed orders arrived this week for salpiglosis, nemesia, swan island daisies and other cool-loving annuals which reportedly were once s standard potted plants for winter greenhouse displays a hundred and fifty years ago. Sown in late August or September, they promise to make flowering plants for mid to late winter and early spring. We'll see. 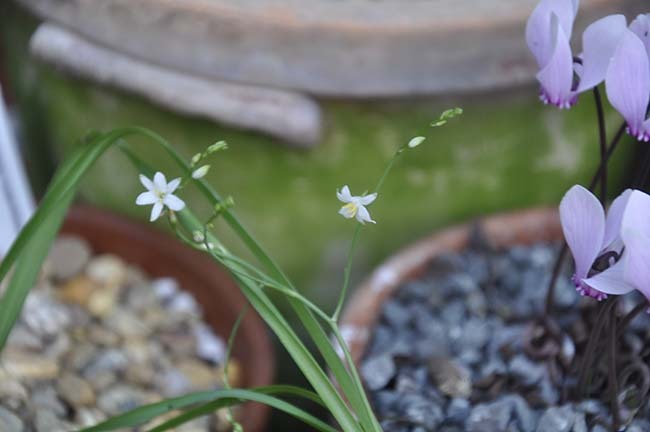 This little bulb is indeed a rarity - a relative of the common houseplant known as the 'Spider Plant' (C. comosum). This bulbous gem is Chlorophytum chinense - and it's one of 175 species in the genus. I know - sometimes rarities are rather boring. Now, if I could only grow C. borivilianum (Google it). So, yes - it looks like I will at least start to heat the greenhouse this year! The reasons are many, including ALL of those chrysanthemums which will need to come in for display in November. I may begin moving plants in later this week, of course, while Joe is away conveniently at the national terrier shows in Montgomery County, PA for a week. Funny how he times it perfectly every year! I don't tend to save much garden seed aside from alpines and species, but this Asarina purpusii 'Victoria Falls' vine has lovely seedpods, and even though it is a named cross, I think I may save some seed to see what I could grow from it next year. The mother plant will be cut back and brought back into the greenhouse for some winter bloom. 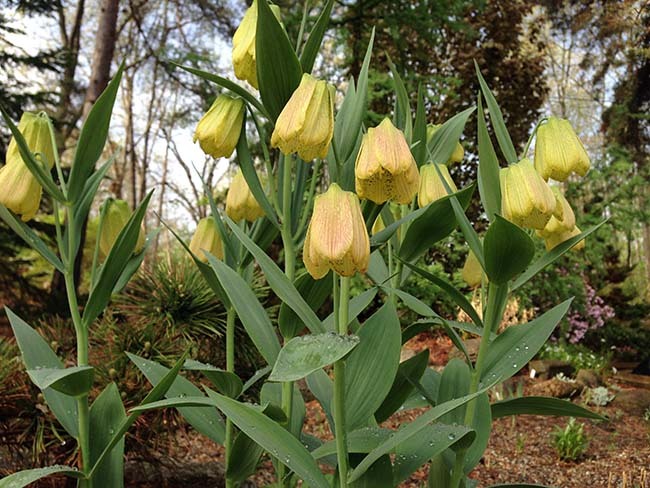 Fritillaria palidiflora in a Michigan garden, from last years' NARGS garden tours - I must order more right now! I am certain that your mail box (both the digital one as well as the physical one) is full of Dutch Bulb catalogs. I've been growing bulbs now for about forty years, and over that time, I've noticed some things which have changed, and which have not changed. What has changed of course is how aggressive or desperate bulb companies seem to be - with catalogs appearing earlier and earlier - even in June just after the spring bulb season is over. Winter will come, believe me - don't regret not ordering any bulbs this year! Be sure to place your orders early enough so that you can get what you want. I can justify why and how I order bulbs so many ways, and I am certain that some of my reasons won't even make sense to many of you, as they are personal to the way I garden. I usually factor in rarity, the desire to try a variety or species I have never grown before (Dutch Iris for the greenhouse this year)- so something new has to make my list, then I add something super early blooming to add cheer to February or March (small rarer crocus species), unusual or rare greenhouse bulbs always make my lists as do nostalgic bulbs which I either remember as a child, or which I have neglected for a few decades (poeticus narcissus for example). I am going to share my strategies for ordering autumn bulbs in this post, but please share with me any of your questions, either here in the comments section, or on my Facebook Page. I'll answer all of them- really! 2. Quantities of desirable bulbs are next - Move onto the high quantity, early sell out varieties and species such as Camassia, the larger Fritillaria which tend to sell out early as well, but which are also often difficult to find in large quantities in mid-season. I adore miniature narcissus, but they are so expensive and hard to find. 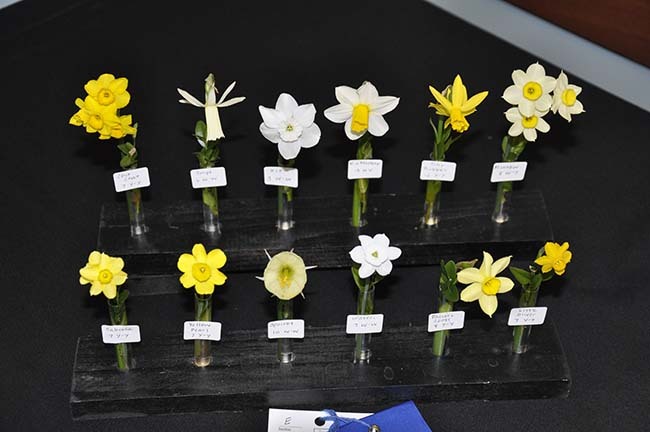 I usually just get a couple of new bulbs every year, but rarely have any to enter into a competition such as this collection entered at a local daffodil show. 3. Be The Early Bird, or loose - Search catalogs for anything that says 'new', and order that. It's not hard, since most catalogs look the same year after year - that it, until you spot that amazing tiny dwarf narcissus that hasn't been listed in decades, and then when you decide that the cost is worth it, it's gone - just saying'). The early bird my friend, be the early bird. Camassia are all the rage today, and it's no surprise to me why this North American native is quickly becoming so popular in naturalized plantings, such as this bed in front of our house. 4. Trendy bulbs will sell out first - Deciding what to order first or what to wait on is not really like gambling at all. It's pretty clear what will sell out fast. My tiering strategies can change with a popular Pinterest image showing a field of bulbs used by Piet Oudolf, and I know that. Like many things, selection is often dictated by fashion and desirability. 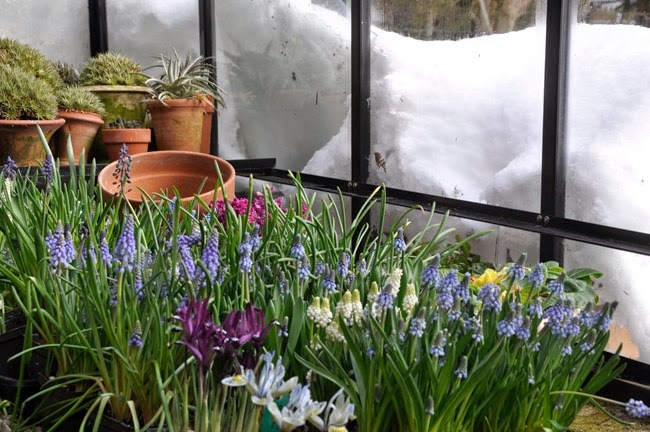 if you want new purple or black tulips, parrot tulips, dwarf narcissus, yellow velthiemia, and anything with the words 'snow' and 'drops' in it --- plan on it selling out fast. 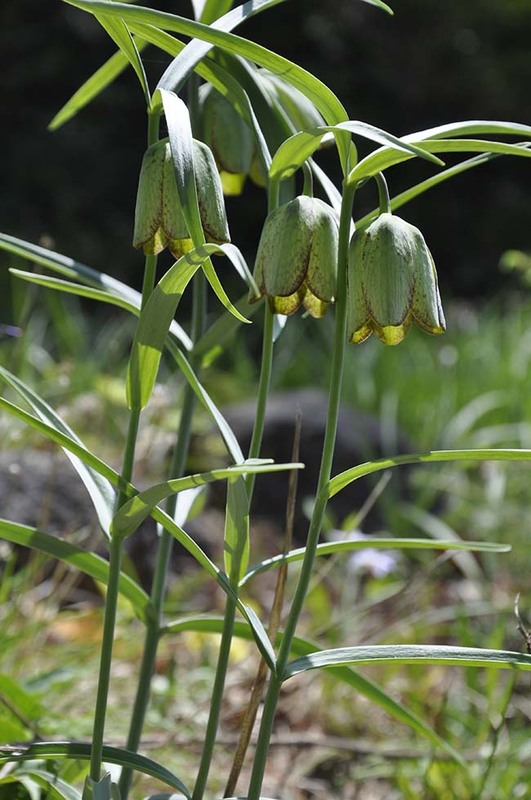 The same goes for trendy naturalizing bulbs like Camassia, the smaller Fritillaria which aren't Royal Crown's or the common snake head lilies ( as it's the small and tall species which sell out fast), and of course - anything that says "limited quanities' -- these are all desirable, and must be ordered now or you may loose out. It's all about timing when it comes to forcing bulbs, many require 16 weeks for proper vernalization such as these muscari which I forced this past winter. 5. Forcing bulbs? 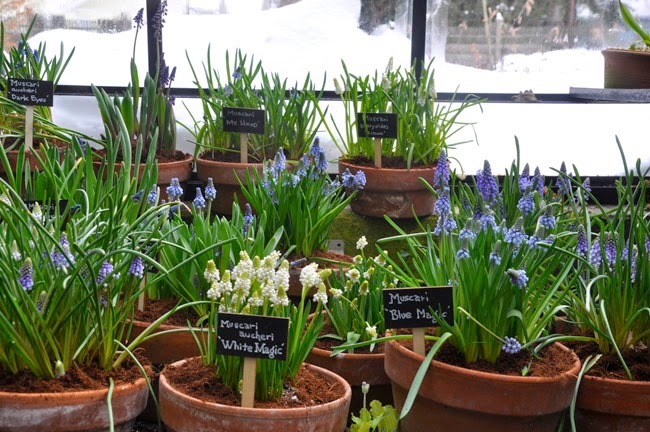 order them soon - I force many bulbs, and since most require at least 12-16 weeks of cooling, the earlier one can pot them them better (except for tulips, which should be potted neither too early nor too late, mid Oct. is perfect.). I also like to order paperwhites and amaryllis early. paperwhites are a great value if ordered in volume - a crate price can reduce the bulb price by half, and it's such a luxury to have piles of them to play with, or to gift with. 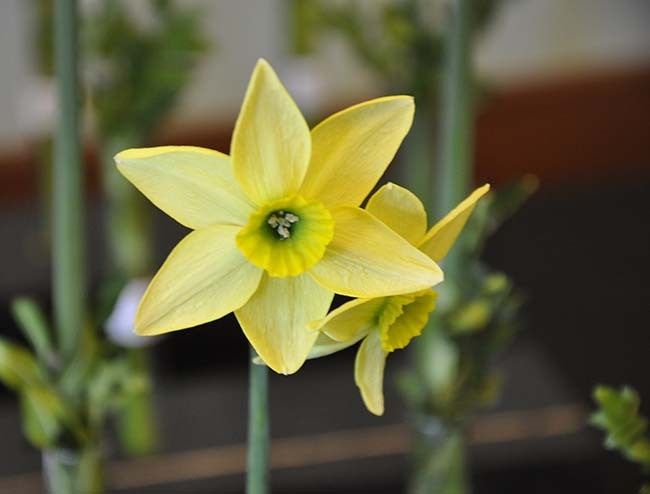 I always see rare or new varieties of bulbs such as this green-centered narcissus on display at the Seven States Daffodil Show earlier this year, it's not that common so I might order this 'Mesa Verde' from a specialist grower (it's $75 BTW), but an all yellow generic "King Alfred"type may be something I would wait for a sale on. 6. Meh or common bulbs can wait until later - Yellow daffs, or red or yellow tulips? Wait for sales unless you want the better, newer varieties. I may bash those big-box stores, but I am not below buying bags of yellow daffodils for $6 or Dutch crocus late in the season for a buck. I buy a few as filler bulbs throughout the season, but I also take advantage of mark downs after Halloween, if our soil is not yet frozen. Closeout sales are fine for most narcissus and crocus, but be careful with the late planted tulips or Fritillaria since their internal flower buds may abort if stored improperly (indoors) or if planted too late in the season. 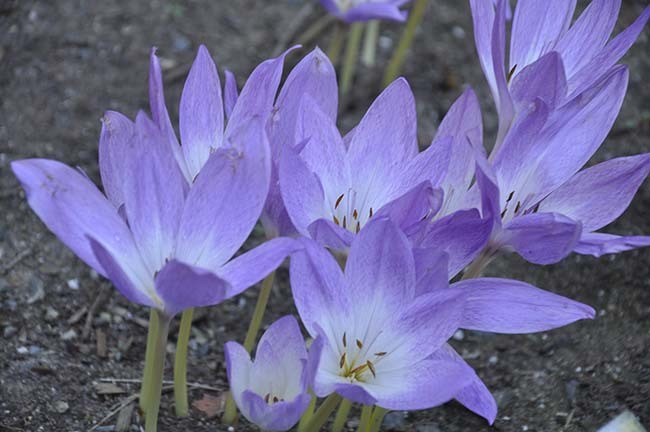 I've planted species crocus as late as January in soft, melted spots in the garden - the bulbs were practically free. 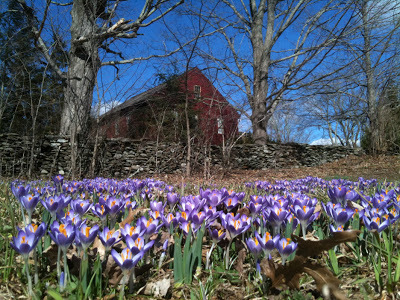 At my friend Mike Fusaro's house in nearby Conneticutt, naturalized crocus bloom in quantities one could never imagine affordable, but buying them on sale or wholesale will help. 7. 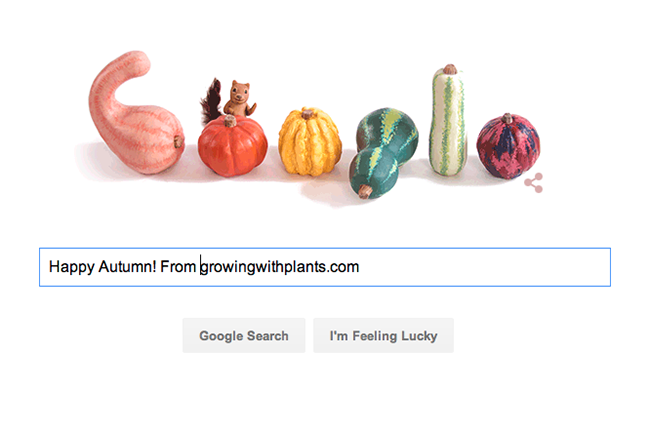 Take advantage of late season sales on-line from good sources as well. Many times, narcissus or crocus go on sale late in the season, and good values can often be had. 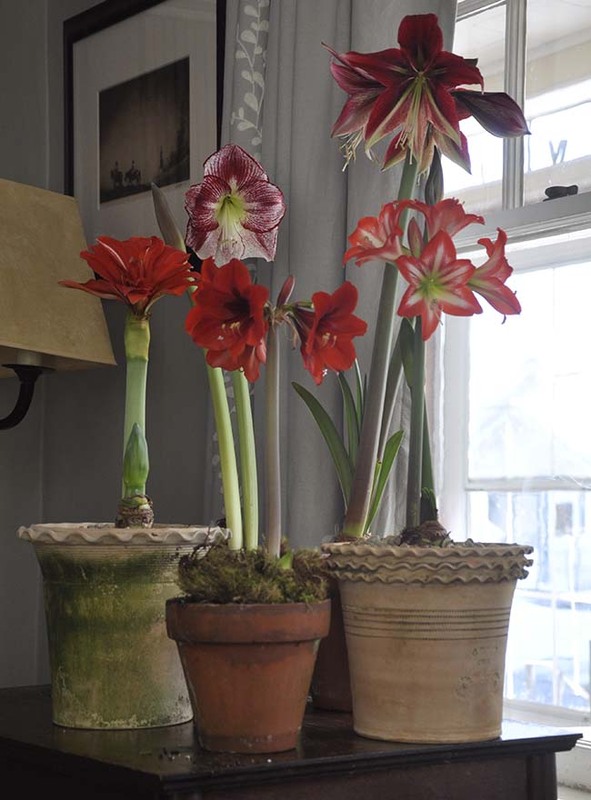 My amaryllis collection from last winter, which happened to be a snowy one here in New England, were find enough, even though I bought them at a local garden center. I could tell that they had ordered large bulbs, so I passed on ordering them on-line for one year. 8. Sales are great, but you also get what you pay for - bulbs are sold by size or grades, and bulb growing is a big business in the Netherlands, which is where 99% of your garden bulbs come from. The most premium or largest bulbs will have more vigor and generally more flower buds, so that $38 amaryllis bulb from White Flower Farm is premium and may produce 3 stems extending your season throughout the winter, vs that $12 bulb from the nursery. It's your choice, but with narcissus, tulips and narcissus - price often means a larger bulb. 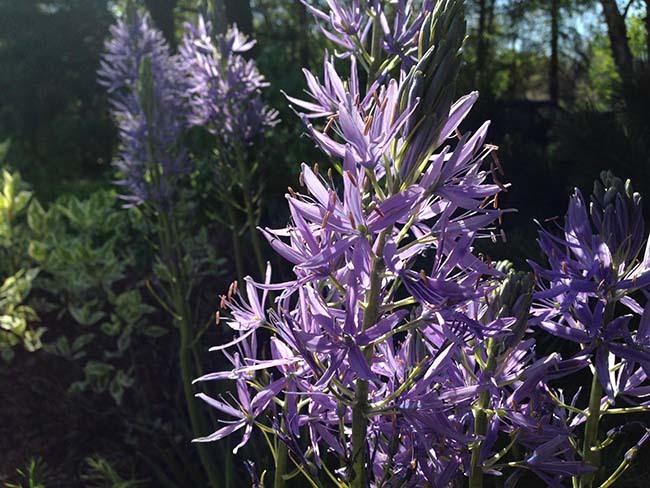 9.Consider long-lived bulbs an investment, so build your portfolio for growth - much like your 401K, some bulbs perform better over time - the afore mentioned Camassia for instance only gets better, forming clumps which can be divided over time. The same goes for daffodils and narcissus, and many of the smaller bulbs such as snowdrops, scillas and chinodoxa which can reseed. You may see a pattern here - cost, since many of the longer lasting bulbs cost more. I have clumps of snowdrops around the garden that I planted in high school nearly 40 years ago, so even though I may cringe at the $20 cost for a rare selection, I know that it will divide and seed for me, which often helps me (or not) justify the cost vs the same price for a gorgeous dark amaryllis that will die in a year. 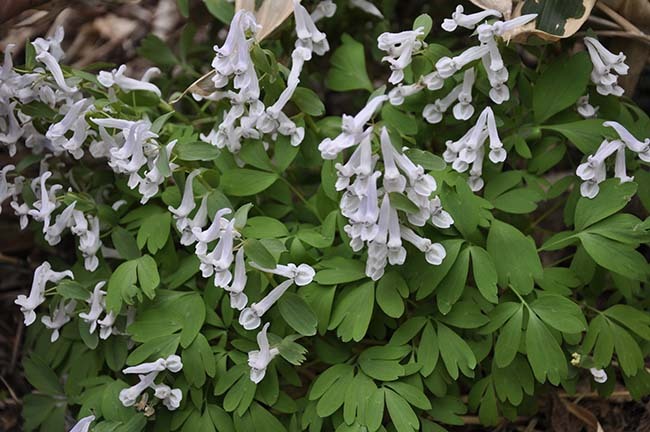 If you've skipped growing this beauty - Corydalis solida, it's time to try it. I can't get enough of them, and yes, it's a bulb plant - unlike other corydalis. 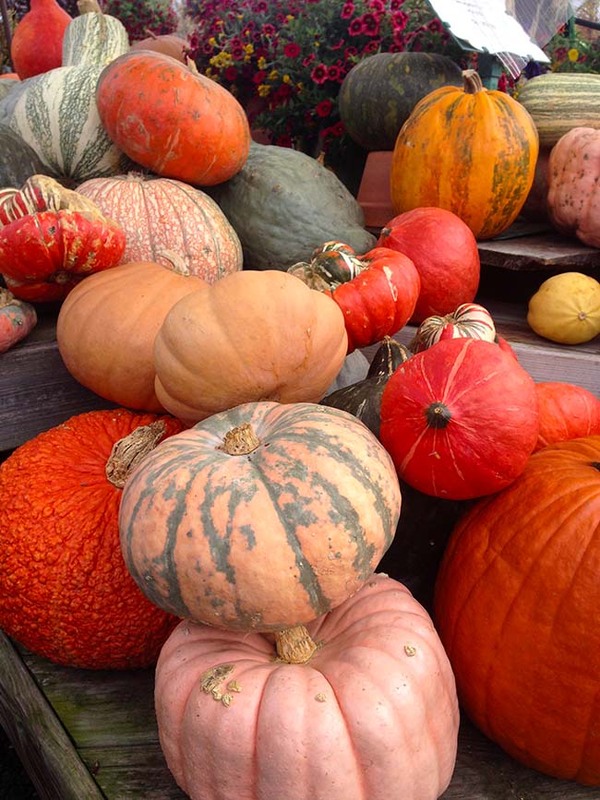 Look for varieties in Dutch catalogs, or if you really want to splurge - order some from Odyssey Bulbs or if you are adventurous- from Ruksans in Latvia who has more than 30 varieties! (but you'll have to wait a year. Still, check out his collection of another must-have which he carries in far-too many selections - Anemone ranunculoides, oh my.). 10. Don't forget your soul - splurge a little, or try something new which you have never grown- long term growth is fine, but a spectacle and wowness is also worth something, right? Don't be too conservative. It's OK to splurge a little on some tall, magnificent lily tulips that will be yanked after one year - remember, these are flowers - try to think of that first, sunny day in February or March when you spot that golden crocus and it blooms through the snow - what is that worth to you? Or that brilliant, blue-skied day in mid May when those orange, carmine and fuchsia colored tulips bloom en-masse making your heart swoon and the traffic stop in front of your house - sometimes, the experience alone is worth most any cost. After all, isn't that why we garden? A BAD CASE OF LATE BLIGHT (PHYTOPHTHORA INFESTANS) FINISHES OFF MY TOMATO SEASON A LITTLE EARLY THIS YEAR, BUT THE OUTBREAK IS STILL NOT AS EVIL AS THE ONE WHICH HIT US IN 2008. It's true. I have what I am calling "too-late-blight" -- "too late" because it's too late for me to do anything about it, and honestly, it's mny own fault. Many are suffering from an outbreak of Late Blight, or Phytophthora infestans again this year, and although the outbreak is not as widespread or early as the devastating outbreak of 2008, this one still had caught many gardeners by surprise. I blame myself for this outbreak however, for as I've admitted many times before - generally speaking, I am a lazy gardener (well, aside from all of those other crazy garden projects such as chrysanthemums which might be getting more of my attention). The season started out fine, with healthy plants and a terrific fruit set - but notice the lack of mulch. In many ways, I was just asking for trouble. And so, my tomatoes hath suffered that trilogy of solanumatious plagues - thy early blight, thy leaf spot and now a devastating outbreak of thy late blight - and all of the strains, apparently). I've learned my lesson - even if an outbreak seems unavoidable, I should at least take precautions - if only to extend the season a few more weeks. Some plastic mulch and more resistant varieties might have helped, as well as some organic fungicide and iron. 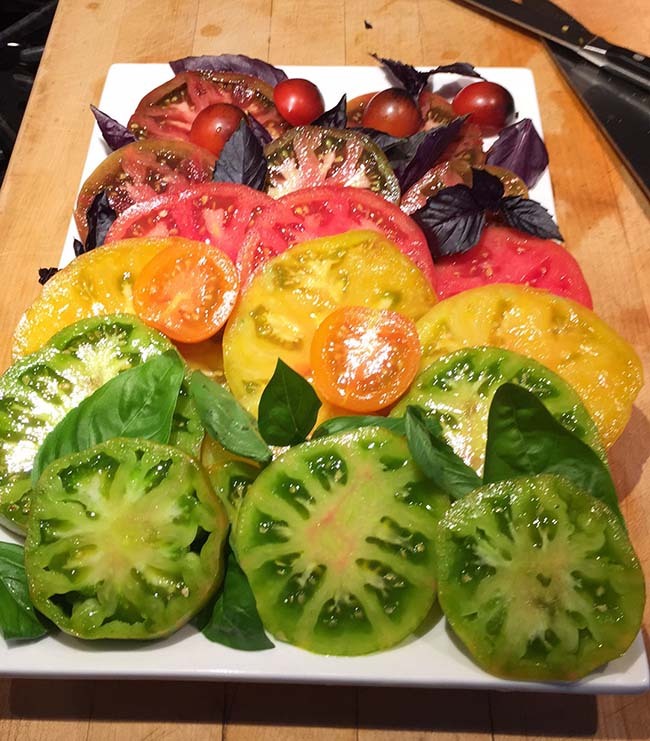 A plate of tomatoes from our garden in late July. We entertained many with plates like this - at least until mid August when vines started to loose their foliage. 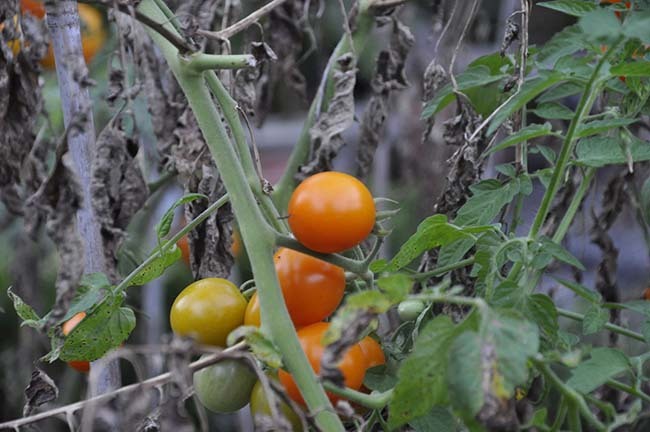 That said, even without leaves, there are still tomatoes ripening on the vines, they just aren't nearly as pretty. 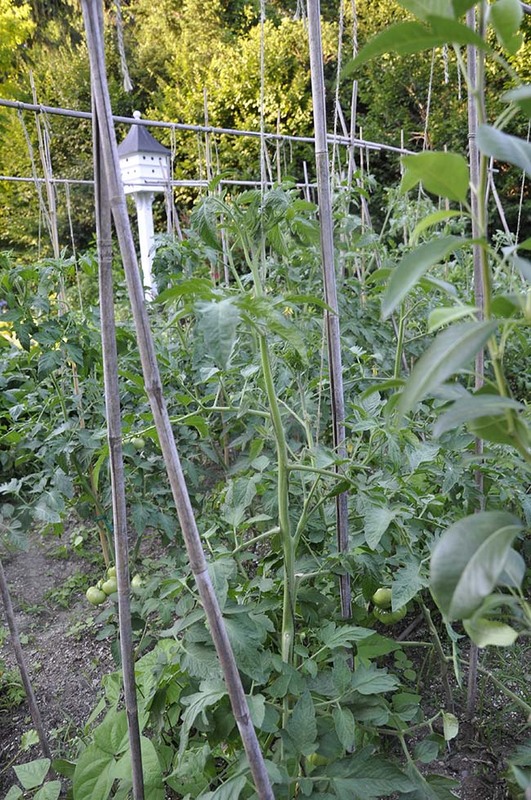 I did do a few things right, such as trellising my plants up high, spacing them properly apart, both in rows and in the bed, but it's what I didn't do which has gotten me in trouble. Like most any guy, I can rationalize away most anything I did or didn't do, but the truth is that when it comes to Mother Nature, there are just some things which one cannot deny. She always seems to win out. In my case? My tomato bed is embarrassingly sad - (i.e. "dead"). Not a complete failure, as I did seem to harvest many tomatoes, but the plants are a sad, sad example of what any tomato bed should never look like. By the ends of July when this image was taken, the signs of Phytophthora infestans began emerging. I know that I am not alone. Many gardeners in the Northeast as well as in spots around the country are experiencing outbreaks of Phytophthora infestans (according to the maps on the website usablight.org, which doesn't yet show an outbreak where I live, but once I mail in my leaves, it will change). My friend and fellow garden blogger Margaret Roach over on awaytogarden.com has a terrific post and podcast about this very subject (and a link to an interesting new app -- which maybe I should invest in for next year), you really all should go check it out. 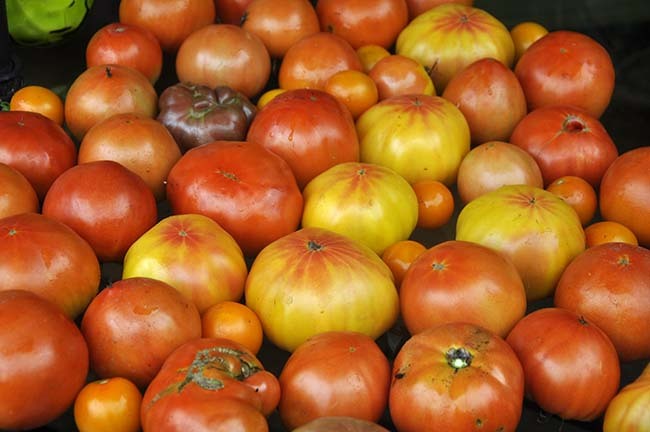 For a few weeks, I did have an abundance of tomatoes - we still have some, but them all seems to ripen at the same time. I should confess that I did take some big risks this year with my tomato crop. First I tried some new varieties which were intended for greenhouse culture and not for outdoor use. I am not certain, but this may mean that they were more susceptible to disease (need to check on this - so if anyone knows, please advise), but most failed before the end of July, even though I had an impressive harvest of early fruit. By early August, most of my plants were infected to a point where even the removal of affected leaves became too much to keep up with. All hope was lost. 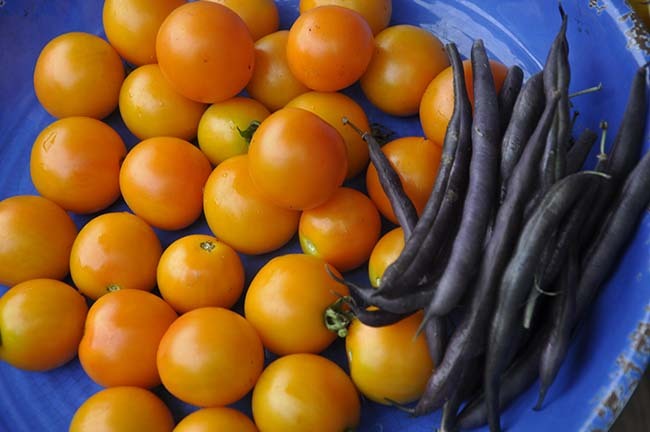 At least, I still had a good fruit set, and far too many tomatoes coming into the kitchen - a problem every home gardener should be dealing with in August. 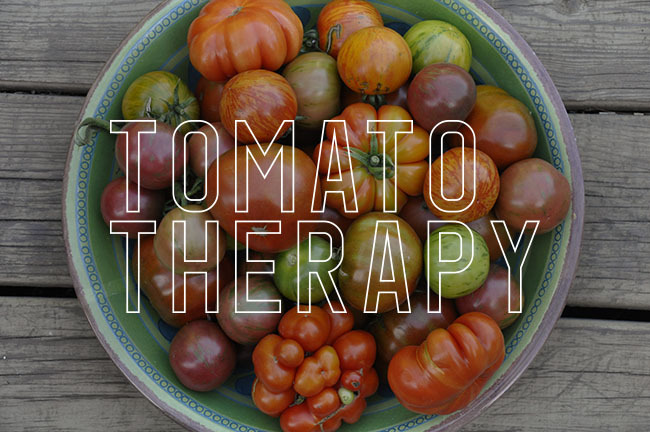 The only problem was, I knew that by early September, I would have no tomatoes at all. 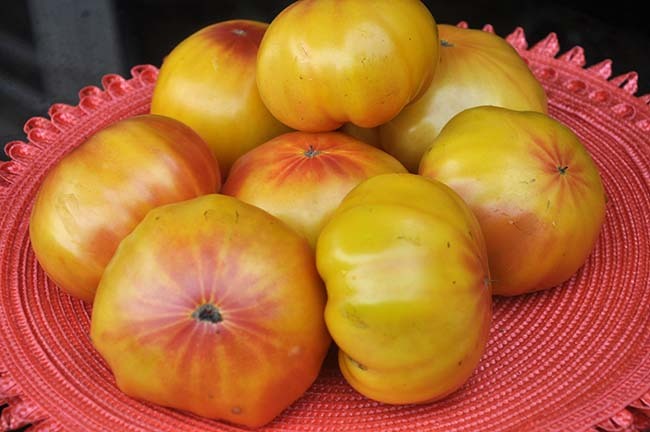 Not all was lost, these newly introduced 'hybrid heirloom' type of tomatoes - this one is called 'Marglobe' which might seem a bit pricey at $20 per packet of 10 seeds, but just look at the crop of nearly 1 lb fruits. 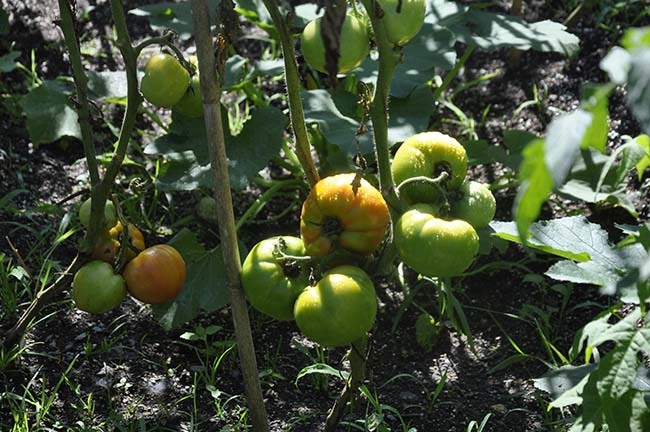 Similar to striped german types of heirlooms, this variety was bred for greenhouse culture, but I grew plants outdoors. My list of tomato sins is long, no mulch at all ( really - none), no organic or even inorganic fungicide use, no crop rotation practiced, since I had decided to destroy some raised beds, I simply spread around old soil from some raised containers on top of existing tomato soil, (I even had some self-seeded tomatoes from last season emerge, a very bad sign) and finally - no uprooting and burning of plants once I saw the tell-tale signs of an outbreak. This new variety, an orange tomato which is the same size and color of a mandarin orange, is appropriately called Clementine. I still have trays and trays of them. Yummy. I offer in my defense that I did add granular fertilizer this year, along with compost to the 'infected soil', as well as iron and lime, so hey---- never had blossom end rot! I also watered my plants well enough. In the end, there was probably not much I could have done to avoid an outbreak, and truth be told, it wasn't as bad as the one from 2009, so I probably should not complain. We still had a rather epic year, albeit early, as my tomato pictures illustrate. Who cares if I didn't have a single green leaf? And as for my neighbors, I don't think that there is a single vegetable gardener within 3 miles of my house so hopefully, I have not spread my spores too far. 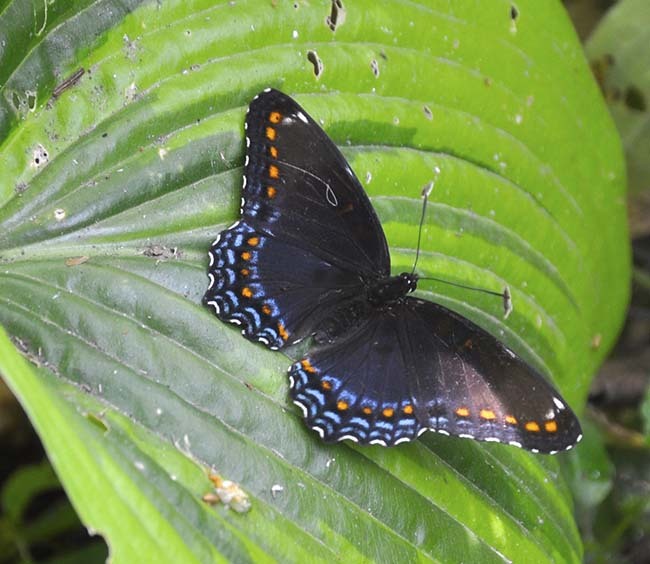 We've had more butterflies than any other year in our garden this year - probably due to the many pollinator plants I planted this year -- but this beauty is not one which would typically visit flowers - the Red Spotted Purple (Limenitis anthems) prefers fresh barn yard dung, and mud puddles. This one was enjoying a muddy patch under a large hosta.